. : SJAM Season #2 Update :: Ski XCOttawa.ca :: Skiing in Ottawa and Gatineau Park :. What's New With the SJAM for 2018? The success of the first season of the SJAM (Sir John A. MacDonald Parkway) Winter Trail project is inspirational. A crowd funded, volunteer maintained effort to create a groomed multi-use (ski, walk, snow shoe, fat bike) trail resulted in 111 days of operation that saw between 200-1500 users a day. As the first thin dusting of snow was falling last Tuesday the SJAM team was eager to get the season underway. While waiting for more snow to accumulate we caught up with Groomer Dave for a few quick questions..
1) How's the prep going for season 2 of SJAM? Prep for the upcoming season started October 1st. It has been a mash of fundraising, working with the NCC, and preparing equipment. Due to the nature of the SJAM being a community project there is a ton of liaison work to be done amongst the huge list of stakeholders and all of this take time. It is a bit intimidating and I am starting to realize that 75% of the effort is not doing the grooming (my passion) but all the project management and promotion. But it has to be done and when I get overwhelmed and down, there is always someone giving me a big donation or coming to tell me how much fun they had on the trail last winter. The support from the community keeps me going. 2) What's changed from last season? In a word “momentum”. I feel that people have seen the potential of the trail after seeing it in action from last year and it is no longer an experiment. Emails get returned faster. I can get meetings with people easier. Donations come in faster. People get it and want it. We just have to build upon the concept from here. 3) Do groomers ever sleep? Great question. I am a morning person and going to bed at 8pm is what I do. Then comes 4:30 and I rise to meet the day. My absolute favourite time to groom is very early in the morning. Just me, the groomer, the elements and the trail. It is a great time to see wildlife. And the spooky thing is that I don’t scare them and I honestly feel to be no higher a being than them. I find peace in that. 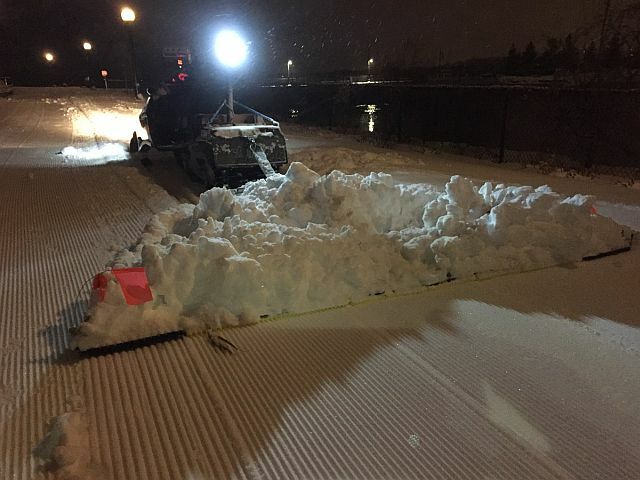 Keep up on all the lastest grooming and developments on the SJAM social media..
With your tax deductible donation, our 4 person volunteer grooming team will carry on grooming for skiers, snowshoers, fatbikers and those that just need to get outside and see the Ottawa river from the comfort of a groomed winter pathway. Need a trail to take your kids skiing without leaving the city? Want to ski to work? Short of time and cannot drive a great distance to go skiing? 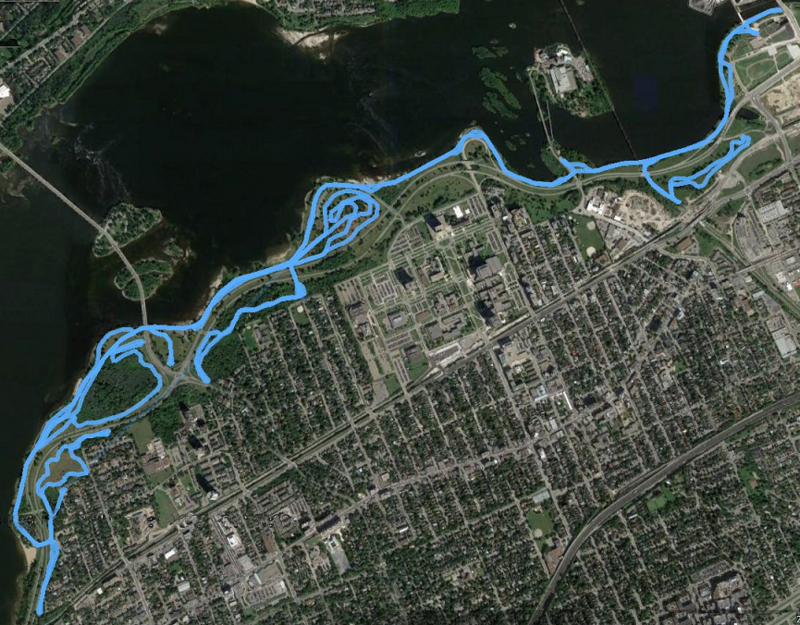 Want to take in the natural beauties of the Ottawa river and it's majicstic shoreline? Looking for Fatbike grooming? Want to introduce your friends to winter sports Want to go for a ski date? 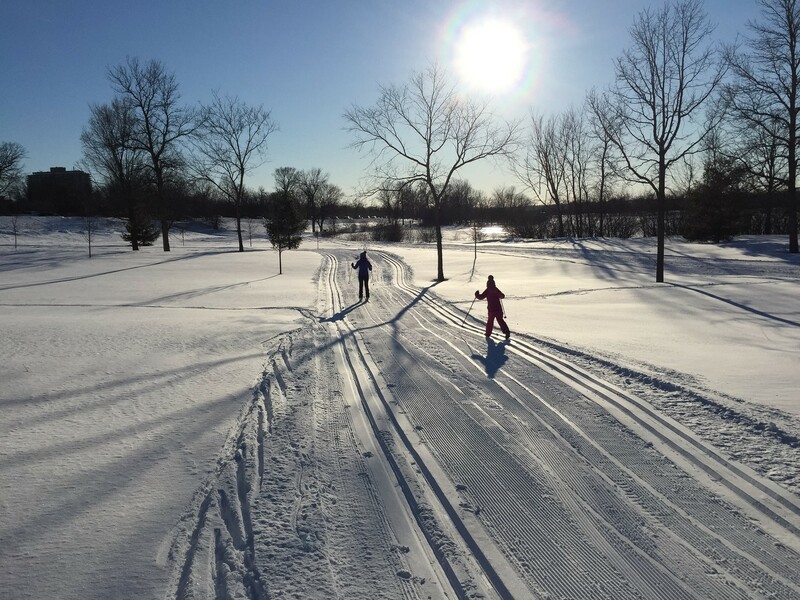 The SJAM Winter Trail is for you! The route the SJAM trail follows along the Ottawa River takes advantage of limited space. Late night (early morning?) grooming by dedicated volunteers is why this trail was such a success! Photos and Videos: XCZone.tv Announces NEW DVDs!